Anti-Vietnam war student protesters burn draft cards, April 27, 1968. Fifty years ago, protests and violence in opposition to the Vietnam War and the draft roiled college campuses. The War appeared hopelessly deadlocked after the Tet Offensive. Protestors burned draft cards, ransacked draft offices, and fled for Canada. At the end of March 1968, President Lyndon B. Johnson announced that he would not seek reelection. In January 1973, President Richard Nixon ended the draft, delivering on a campaign promise. Why did the policy change within just five years? Dr. David Henderson, an economist and long-time professor at the Naval Postgraduate School, contends that economists played an important role. The case illustrates how academic research can shape public policy, hopefully for the better. Let’s first consider the economics of a military draft. One argument for a draft is that it lowers the cost of the military. This, however, is based on confusion. A draft reduces the government’s budgetary cost. The full cost of the military is the value of the resources used, including personnel. Uncle Sam paid G.I.’s a monthly salary, but the amount did not have to adequately compensate the soldiers, who faced prison for refusing to serve. Forcing service does not reduce and can even increase the full cost; persons creating great value in the economy may end up carrying a rifle. During World War II, draft exemptions were granted for critical jobs in war industries. And the military made effective use of talented individuals, including future Nobel Prize winners like economist Milton Friedman and physicist Richard Feynman (who was part of the Manhattan Project). The military understood the full economic cost and sought to use personnel efficiently. Research by economists in the 1960s speculatively estimated the supply of volunteers. Individuals’ willingness to volunteer depends on many factors, including pay, the likelihood of war, an individual’s patriotism, and the conditions of service (e.g., the minimum term of enlistment). This research showed critically that a sufficient number of volunteers could be secured. Economics shows how conscription is equivalent to a tax. Draftees serve for less pay than they would require to volunteer; if they received $10,000 per year less, it is as if they were taxed this amount. This “tax” was on top of the risks of combat. A volunteer military’s higher salaries make taxpayers cover more of the cost, which arguably is fairer. How did economists influence policy? While proving the influence of specific ideas on specific changes is nearly impossible, Professor Henderson offers a strong argument. The aforementioned research documented the costs of conscription and the feasibility of a volunteer military. A conference at the University of Chicago in 1966 organized by Milton Friedman brought together four hundred professors, opinion leaders, and politicians, including Ted Kennedy and Donald Rumsfeld. And President Nixon’s Advisory Commission on an All-Volunteer Force, chaired by former Defense Secretary Thomas Gates, included Professor Friedman and other prominent economists. The Commission held hearings and their report provided the formal basis for ending conscription. Perhaps most significantly, the participants at the University of Chicago conference and members of the Gates Commission included many supporters of the draft. The economists’ arguments changed opinions, demonstrating their strength. The Gates Commission conveyed this message to the public. Although not widely read, economists’ research affects which policy proposals appear reasonable. Hopefully this leads to better government policies, like the all-volunteer military. The Johnson Center, with support from the Institute for Humane Studies, is very pleased to bring Professor Henderson to Troy University for a talk about this episode in public policy. His talk will be at 5 p.m. on Tuesday, March 20, in Bibb Graves Hall, and is free and open to the public. 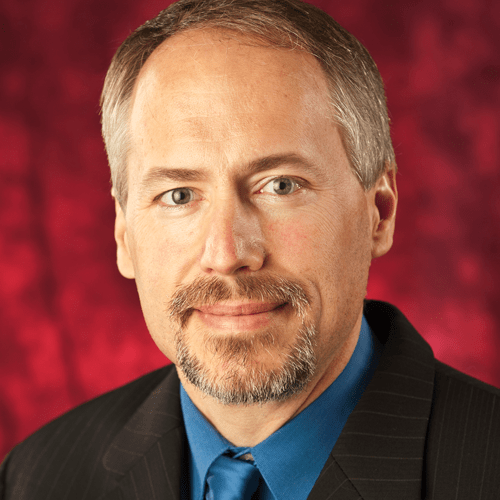 Daniel Sutter is the Charles G. Koch Professor of Economics with the Manuel H. Johnson Center for Political Economy at Troy University and host of Econversations on TrojanVision. For more information about Dr. Henderson’s talk, contact johnsoncenterevents@troy.edu.